With millions of acres of protected wilderness and more than 2,000 miles of hiking and biking trails, New York State is a nature lover&apos;s paradise. 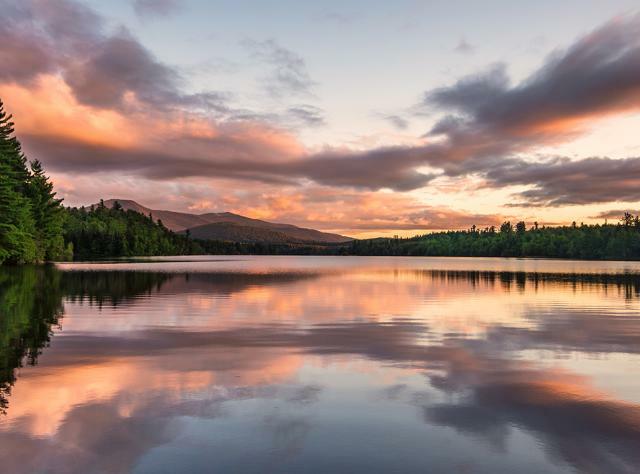 In fact, Adirondack Park, with more than 6.2 million acres, is the largest park outside of Alaska. Across the state, you&apos;ll discover beautiful natural lands and bountiful views, like The Gorges in the sprawling Finger Lakes region. But nature&apos;s poetry doesn&apos;t stop there. Try birdwatching while traveling through a wildlife refuge like the Iroquois National Wildlife Refuge, or picnicking in a nature preserve. Take a foliage tour along the ponds of Allegany State Park or view the scenic vistas found from the top of a mountain. Try exploring the grottos of a billion-year-old cave at Natural Stone Bridge. If you&apos;re looking for Mother Nature, look no further-it obvious she loves New York! Search below to find more places to explore New York&apos;s nature!